This is utterly fascinating. I had no idea it was on the Isle de la Cite, I’m assuming it’s long gone. 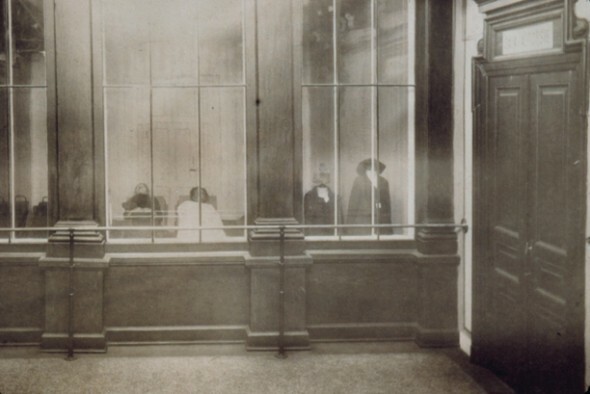 The scene from Zola’s Therese Raquin set in the Paris morgue gave menightmares for weeks. Thank you for sharing this, just really horribly interesting! @Marguerite: It seems fitting for it to be located in the oldest part of the city, hehe. But it is long gone–though I wonder if the building remains. You’re the second person to mention the Zola novel! I’ve only read Au Bonheur des Dames, but I must grab Therese Raquin to read this petrifying morgue scene. Paris can be a morbid city. I still haven’t seen the catacombs made out of bones. @heidenkind: Yes it can, which is why I adore Paris: beneath the gaiety, gastronomy, and romance is a brooding, morbid, and somnolent city.